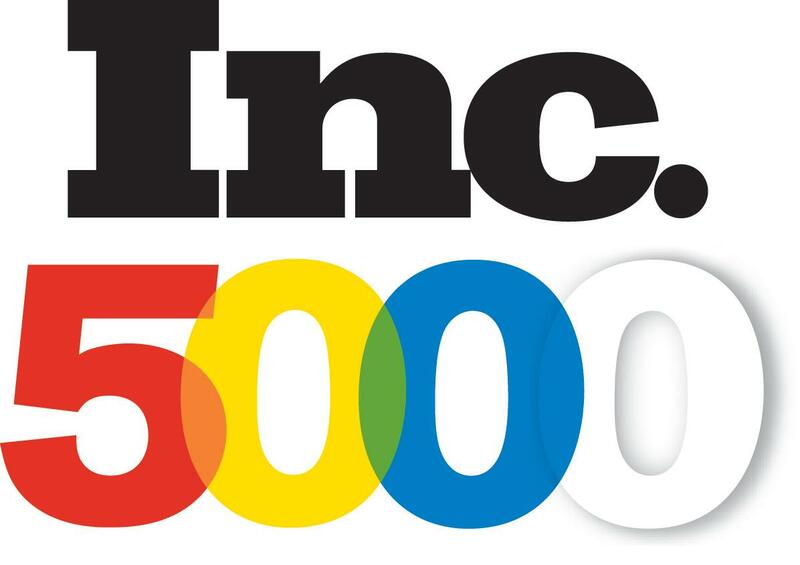 Inc. magazine released its highly regarded Inc. 500|5000 list of the fastest-growing private companies in America today, and 16 EO Nashville member companies made the cut. That’s 10 percent of the 168 members that make up EO Nashville. The Nashville Business Journal reported on EO Nashville’s new board appointments this week. Mrs. Cheap of The Tennessean put together a “stay-cation” itinerary for Nashville locals that included Two Ten Jack [Patrick Burke] and Pinewood Social [Ben Goldberg]. The Nashville Post reported on a transaction involving the Hillwood Pointe Apartments in West Nashville. The Kirkland Company [William Kirkland] represented the seller. As Corsair [Darek Bell] looks forward to its expansion in the Houston-Wedgewood area, the company has named a new head distiller, Andrea Clodfelter. The Nashville Business Journal interviewed Andrea about her new position for it’s BizBlog. Corsair was also featured in a USA Today Travel section article about the hottest spirits to try this summer. Traylor Woodall [Fivestone Studios] wrote an article for the Tennessean about what Nashville can do to nurture its tech talent. The Nashville Business Journal wrote an article on InQuicker‘s [Michael Brody-Waite] expansion into different health care services. New tenants are being added weekly to Eakin Partners’ [Barry Smith] new tower in the Gulch. The Tennessean and Nashville Business Journal penned stories on the office building. In her latest column for the Tennessean, Julie May [bytes of knowledge] teaches business owners how to virtually let go. Gallatin City Council and Mayor Jo Ann Graves voted unanimously to choose Susan R. High-McAuley of Bone McAllester Norton [Charles Bone] to become the city’s next attorney. The Tennessean had the story. The Nashville Business Journal released its Best of the Bar 2014 and four Bone McAllester Norton attorneys made the list. The Tennessean reviewed Oz Nashville‘s [Tim Ozgener] second season. James Fields’ [Concept Technology] interviewed a lawyer Brian Iverson for his column on patent trolls. The Nashville Business Journal revisited a story about Concept Technology’s staffing venture, Scout. Vertek Solutions [Brian Murphy] made the Nashville Business Journal’s list of top recruiting firms. What a week! EO Nashville members have been featured in local and national news for their accomplishments and expertise. Read on for a round-up of this week’s news. Travel + Leisure has named Nashville the best city in America for barbecue and the magazine mentioned Edley’s [Will Newman] Tuck Special as one of the most delicious dishes. CNBC released its list of Top 100 Fee-Only Wealth Management Firms and Waddell and Associates [David Waddell] ranked 39th. James Fields’ [Concept Technology] latest column for the Tennessean explained the importance of antivirus protection as a part of your computer’s security system. With Inc. Magazine’s GrowCo taking place in Nashville this week, the publication took a look back at Nashville companies it had profiled in the last year and Strategic Hospitality [Ben Goldberg] was featured on the list. USA Today published a profile on the Goldberg brothers and St. Louis ABC News 10 named The Catbird Seat as one of the best places to eat in Nashville. J.J. Rosen [Atiba] was featured in the Nashville Business Journal’s sports minute section with his two sons. The Nashville Business Journal‘s cover story on Nashville’s tech startup scene featured quotes from Nicholas Holland [Populr.me], Taylor Woodall [Fivestone Studios] and Charlie Brock. Clint Smith [Emma] took part in a GrowCo panel and explained Nashville’s appeal for the conference to the Nashville Business Journal. Werthan [Jeremy Werthan] was featured in the May/June issue of Nashville House & Home & Garden for an article about kitchen design trends. Charlie Brock [Launch Tennessee] wrote an article for CNBC and Entrepreneur about how to pitch your company to angel investors. Charlie also wrote about the growth of start up support in Knoxville for the Knoxville News Sentinel and was quoted in a Nashville Business Journal article about Nashville startups at Southland. The Tennessean quoted Jake Fagan [Caddis Interactive] in an article about Williamson County technology companies. Greg Siskind’s [Siskind Susser, PC] column for the American Bar Association’s Law Practice Magazine focused on how writing a book can be the best marketing tool for your firm. Greg also wrote an article for the ABA’s Health Lawyer journal on the impact of pending immigration legislation on the health care industry. Smartvue [Martin Renkis] won the Security Products’ Government Security Award for Cloud Surveillance. Security Today had the story. 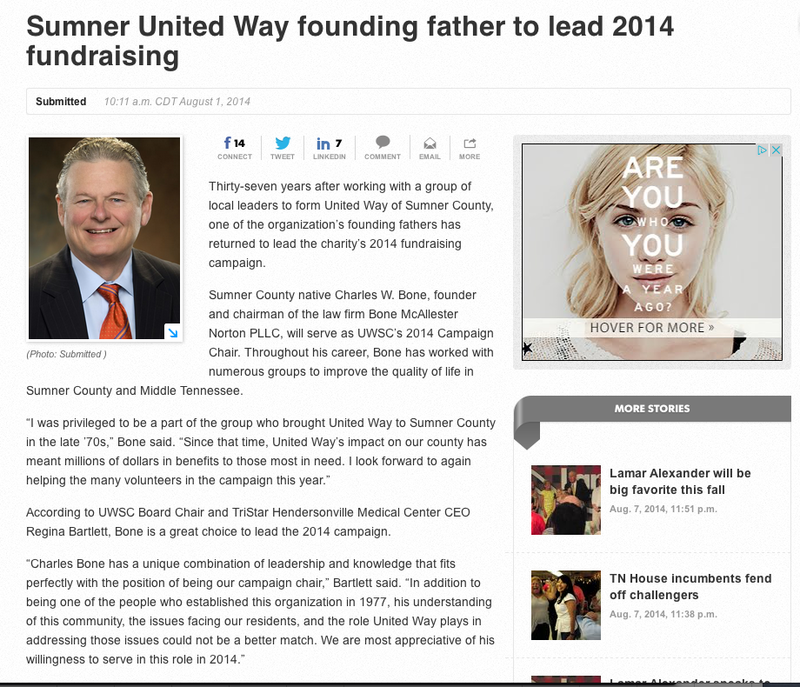 Joe Freedman [Music City Tents and Events] was quoted in a Tennessean article about the spirit of an entrepreneur. Andy Bailey’s [Petra] latest Tennessean column offered a challenge to review your 2014 goals and make them happen. Comfort Supply‘s [Clay Blevins] partnership with Hiller Plumbing, Heating and Cooling was written about in Contractor Magazine, The Tennessean and The Daily News Journal after Hiller was honored with the Ruud Reliable Top Contractor Award for 2014. Bryan Ansley [Secure Identity] wrote about virus protection from the government’s perspective for The Tennessean. The Nashville Business Journal published and article about workers’ compensation reform featuring Corey Lile’s [Occusure] expert opinion. 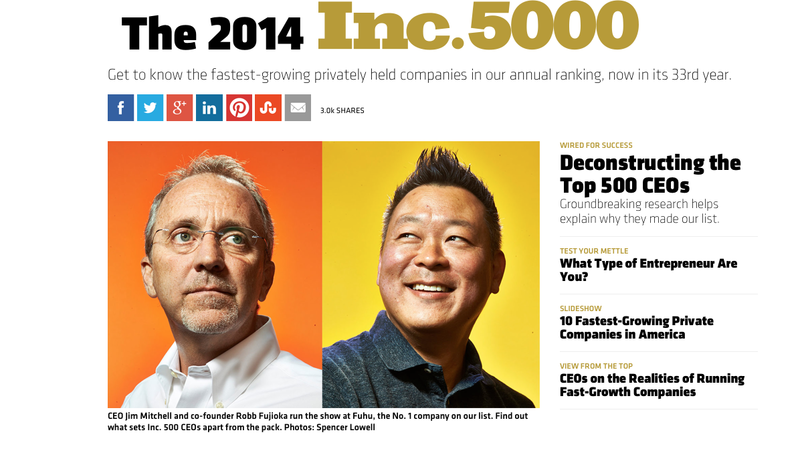 Remodeling Magazine featured The Kingston Group [Ricky Scott] in it’s “Big 50” for 2014. In his latest Tennessean column, Alex Tolbert [Bernard Health] explored the options for our nation’s doctor shortage. The Tennessean covered the expansion of the Wedgewood-Houston section of Nashville and talked with Darek Bell [Corsair] about his decision to move his distillery to the area. The Nashville Business Journal also covered the distillery’s expansion. The Tennessean and The Nashville Business Journal covered the progress of Eakin Partners‘ [Barry Smith] new tower, slated for Demonbreon Street in the Gulch. The Nashville Post covered the firm’s involvement with the Amsurg Project in Green Hills and a recent transaction involving Lowes Vanderbilt Plaza Office Space. Barry also offered his opinion on the expansion of retail in the North Gulch to The Tennessean and took part in a panel on commercial real estate for The Nashville Business Journal. DWP Live [Danny Whetstone] was profiled in a Projection, Lights and Staging News article. Critically acclaimed play The Suit opened at Oz [Tim Ozgener] this week. The Nashville Scene had the story. Julie May [bytes of knowledge] shared her highlights from the GrowCo conference for The Tennessean . Bob Bernstein [Bongo Productions] plans to open a new diner in The Melrose mixed-use project on Franklin Pike. 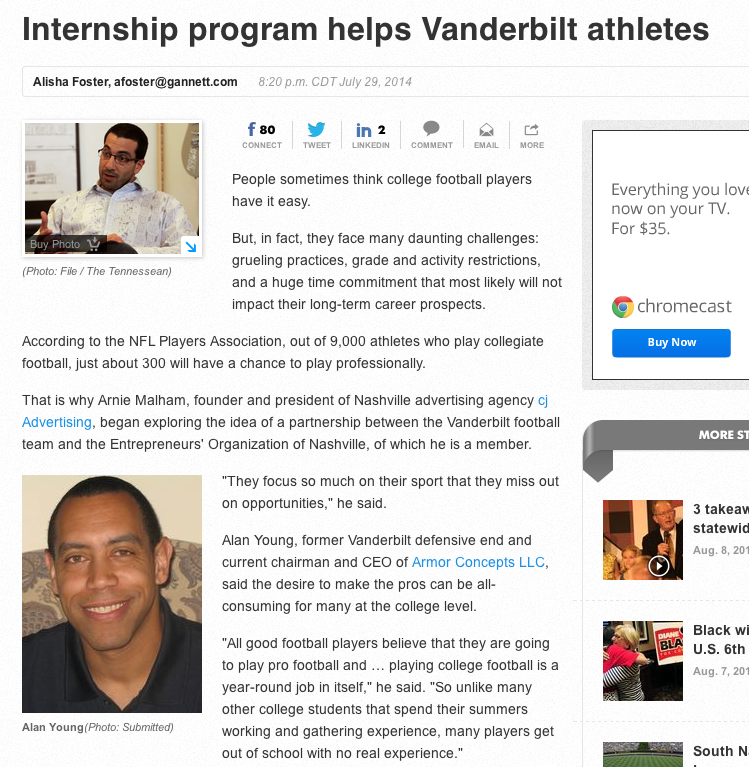 The Nashville Business Journal had the story. David Waddell [Waddell and Associates] was featured in a Commercial Appeal article about new startups in Memphis. The Nashville Post published a story on Edley’s [Will Newman] expansion in 12 South. 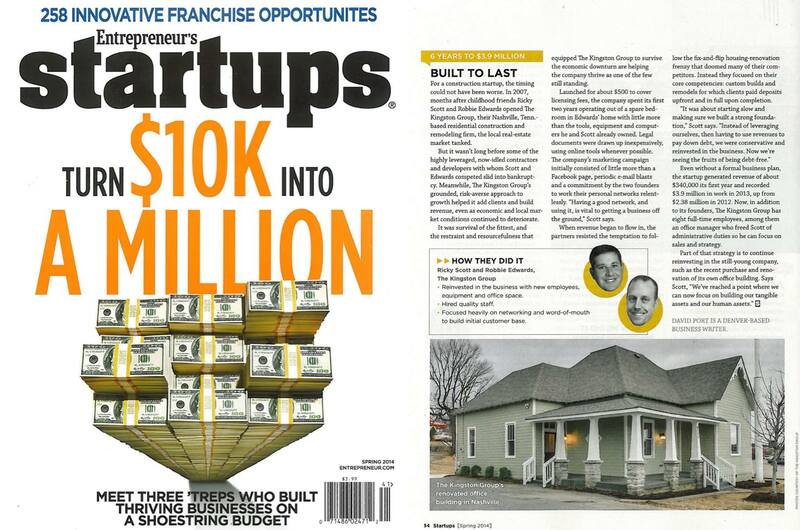 The Kingston Group [Ricky Scott] was prominently featured in the most recent issue of Entrepreneur Startups Magazine. The Music City Center, which featured Bell and Associates [Darek Bell] on it’s construction team, won the top prize in the Engineering Excellence Awards Competition. The Tennessean covered the story. 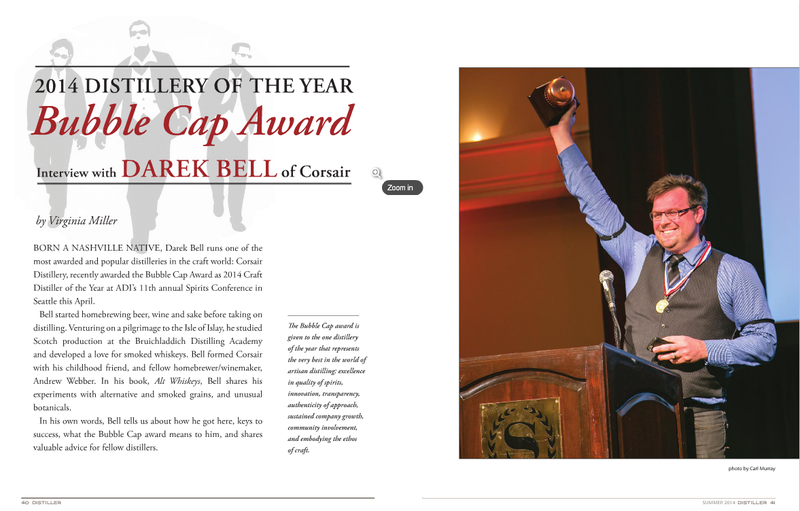 Corsair Distillery [Darek Bell] has won the highest honor in craft distilling, the “Bubble Cap” award from the American Distilling Institute. Read the full story at The Nashville Scene.com. The Distillery was also featured in a Nashville Lifestyles article about the booming Tennessee whiskey business. John Rowley [Fletcher Rowley] was a guest on MSNBC’s Melissa Harris-Perry Show, where he contributed to the discussion on the Hobby Lobby Supreme Court case dealing with the a corporation’s religious freedom. Ben Hanback’s [Regions Insurance] Tennessean column focused on choosing to change your attitude. The Memphis Daily News and Nooga.com wrote about Launch Tennessee‘s [Charlie Brock] “100 Girls of Code” workshop coming to Memphis this summer. Oz [Tim Ozgener] was featured in the Guardian’s Nashville city guide as one of the top 10 art galleries, art spaces and cultural events. The Tennessean and The Nashville Scene covered Oz’s “Thursday Night Things” series with a feature on artist Herb Williams’ show, “Personal Best”. The event was a huge success, drawing over 500 attendees. Andy Bailey’s [Petra] postcard about Successful vs. Unsuccessful people was featured in a LinkedIn post by Dave Kerpen, New York Times best-selling author and CEO of Likeable. The post has now been repurposed and shared across the Web, with articles in BusinessInsider, Yahoo Finance, MediaBistro and OPRAH.com, just to name a few. Andy’s Tennessean column focused on finding was to constantly improve your business, even when you think you are doing well and his column in the Nashville Business Journal addressed setting goals for accountability. The Nashville Business Journal caught up with InQuicker‘s [Michael Brody-Waite] headline story from 2013 in which the company detailed its approach to growth. Today, the company has grown from 21 to 30 employees. The Tennessean quoted Alex Tolbert [Bernard Health] in an article about Vanderbilt’s cancer coverage gap through the Affordable Health Care Act. Alex’s most recent Tennessean column focused on the changing face of primary care. Bernard Health was also featured in a Eyewitness News 3 report about the March 31 Healthcare deadline. J.J. Rosen’s [Atiba] Tennessean column offered advice on how to be a great project manager. The Nashville Business Journal reported on Smartvue Corporation [Martin Renkis] raising $3.85 million in a Series A investment round. Dan Hogan [Medalogix] was quoted in the Health and Tech Beats section of the Nashville Business Journal. The Nashville Business Journal covered “Mentoring Monday,” which connected over 150 women with potential mentors, including Julie May [bytes of knowledge], Brittany Lorenzi [Cushman &Wakefield | Cornerstone] and Nancy Leach [Facility Planners]. James Fields’ [Concept Technology] Tennessean column analyzed the benefits of high-tech light bulbs. Bone McAllseter Norton [Charles Bone] ranked tenth on the Nashville Business Journal’s top law firms list. Nashville Lifestyles released its list of the 25 best dishes in Nashville, and a few of our EO Nashville members were included on the list. Pinewood Social‘s [Ben Goldberg] Egg in a Jar, the Tuck Special at Edley’s [Will Newman] and the Scallops at Josephine [Miranda Whitcomb Pontes] were a few of the editor’s favorites. Two Ten Jack [Patrick Burke] was highlighted in a six-page Nashville Lifestyles story that walks readers through the Izakaya experience. Congratulations the following EO Nashville members who were recognized as finalists for The Nashville Business Journal Best in Business Awards. Recent Catalyst graduate Rhodes Car [Bill Pomakoy] received international attention this week when England’s Price Harry took one of the company’s four-wheeled bikes for a spin. The Tennessean covered the story.